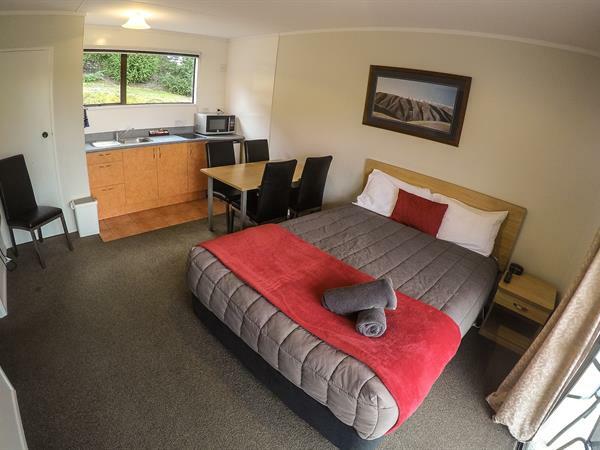 This Self-Contained Family Studio is perfect for families, with a queen bed in the living area and a separate bedroom with 2 sets of bunk beds, and an en-suite bathroom off the bedroom. The living area also features a kitchenette and dining area, as well as free to air TV. The unit has panel heaters to keep you warm over the chilly months. Beds are fully made up and towels provided.